Instagram may be the new social platform of choice, but don’t forget about Facebook too quickly. There’s many reasons why it’s still important, especially if you just joined a sorority or organization on campus. Here are some reasons why we’re advocating for Facebook these days. If you’re anything like me and have an irrational distrust of technology, Facebook is the perfect place to store all your photos. Even if you don’t want them all on your public profile, you can create a private album that only you can see! This way, all your pics are stored safely, and you can rest assured that they’ll be there anytime you want them. And the best part- they won’t take up valuable space on your phone! This one might seem like a given, but Facebook is the perfect place to stay updated on your family members’ lives and connect with some family that you might not see very often. My family even made a ‘group’ where we can all post fun news, life updates, and plan our annual reunions! Disclaimer: this might require providing older generations with Facebook lessons- but if my grandma can figure it out, so can yours! The next time you’re planning a 21stbirthday party, tailgate, or any other event, send out the invites on Facebook! It’s the perfect, low-pressure way to invite lots of friends in just a matter of minutes. And if you need to send any updates, you can be sure everyone gets the information! Facebook keeps track of how many people are coming and lets everyone see who else is coming- they’re not going to want to miss out once they see the invite list! If your chapter doesn’t already have a Facebook group- talk to your Executive Committee about creating one! It’s one of the best ways to get announcements out, poll the chapter, and post photos. With all the information stored in one place, this page is the perfect place to direct members if they have questions about events or want to get in contact with the other members. All of the national organizations have a Facebook group dedicated to selling and re-selling apparel items! These pages are a great place to connect with sisters from across the country, resell gently used Greek apparel, and scout out the newest apparel orders. So next time you run out of space in your t-shirt drawer, consider selling some tees to sisters on your chapter’s page. 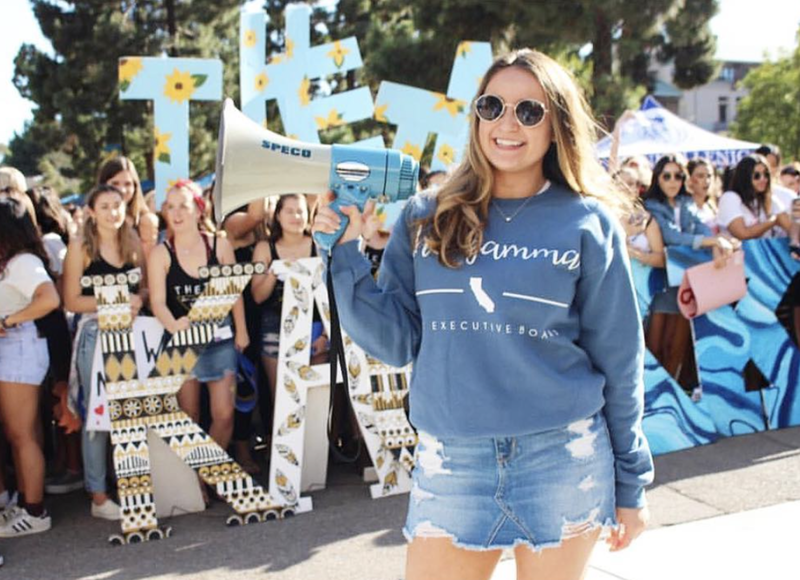 You can make a little cash on the side (to spend on new sorority apparel, of course!) and clear out some space in your closet.